Automatic Combination (2015) is a choreographic method for analyzing space. It is based in response that arises in encounters between body and space: senses and emotions are awakened, reflected and social constructs discovered. 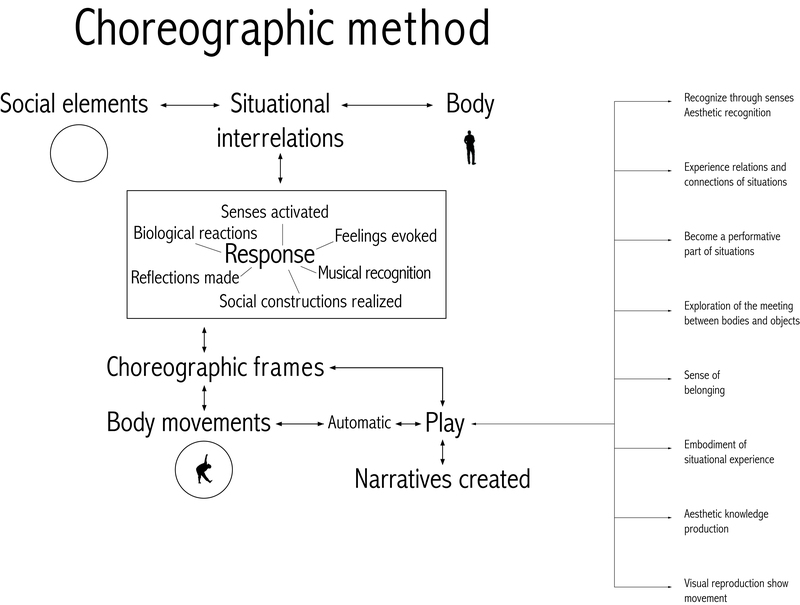 This response influences the body movements more or less automatically in a given situation and can thus be said to be a set of choreographic frames. Automatic Combination puts these frames into play by exploring their bodily possibilities and limitations. By focusing on movements that are made automatically, it is possible to become aware of norms, place-specific qualities, social and architectural relationships that exist beyond immediate perception. This knowledge is helpful when customising the surroundings, taking into account the movements of the body in relation to surrounding things and other bodies. Development of the concept happens in cooperation with many different people. I have among others held presentations in Arkitema, Æstetisk Salon, Student Conference 2015, Rum Mellem Rum and KIT.